This weekend I received a huge amount of cooking inspiration at my local Farmer’s Market! Just being surrounded by all of that fresh produce and home made marinades…. it made my mouth water! It also made me realize how long its been since I’ve posted a new blog post! Grad school got crazy there for a while and I’m hoping now that it is over and I am officially graduated, it will afford me more time for my favorite past time! So let me show you the fruits of my inspiration and introduce you to my primary muse this weekend. It all started with this little marinade stand… where I tasted the most amazing homemade marinade! And my first thought was “I can put this on EVERYTHING!” The hardest decision I made this weekend was not buying every flavor this talented woman sold. 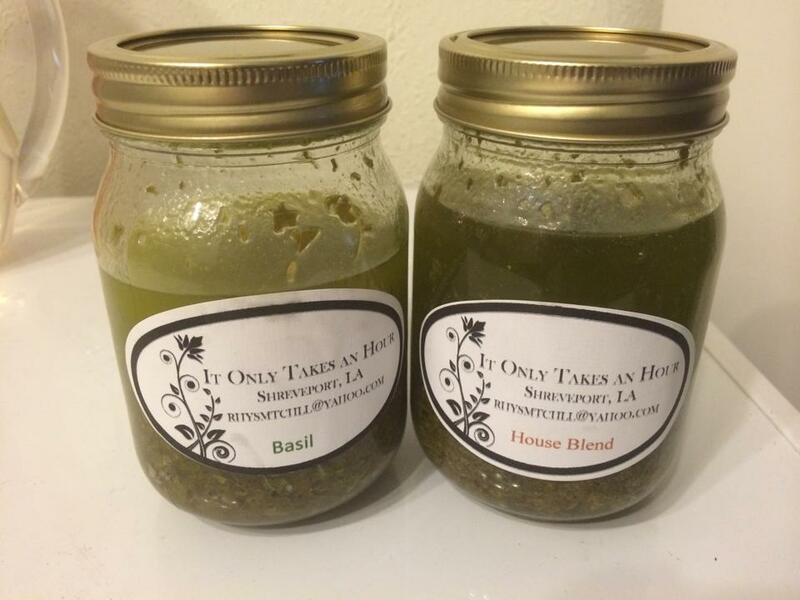 I finally narrowed it down to these two delicious flavors, but mark my words…. I will be back for the lavender honey! Of all the delicious produce at the farmer’s market, this succulent squash spoke to me this most! I tossed it with a few spoons of the basil marinade and olive oil then seasoned it with sea salt, garlic, and multicolored peppercorn. 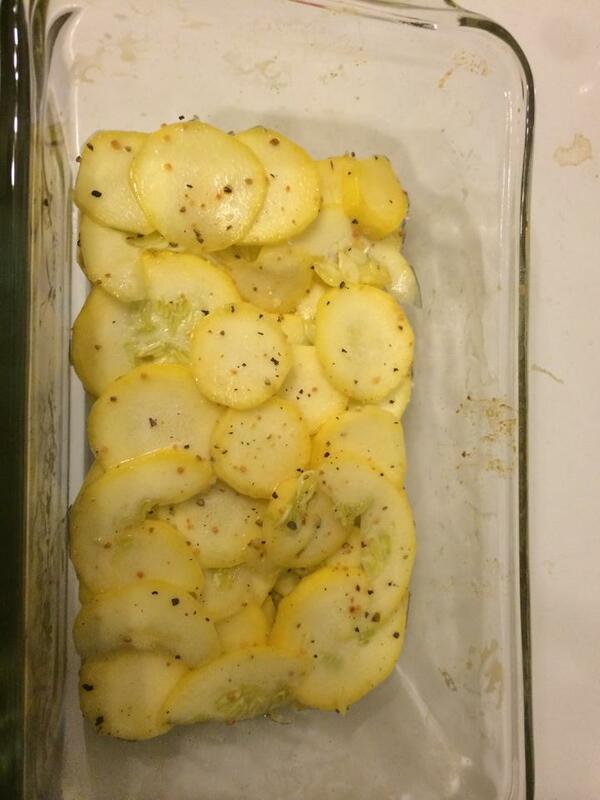 I then baked it until the squash softened and the top layer started to become golden. 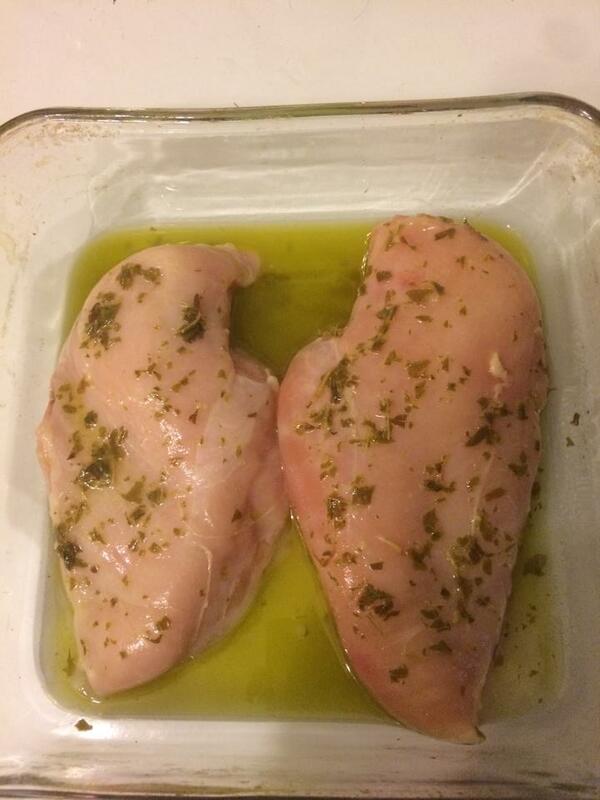 While I was preparing the squash, I let these two boneless skinless chicken breast soak in the basil marinade as well. I can tell you, that my kitchen smelled heavenly during the whole endeavor! Someone should find me some basil and sage candles stat! 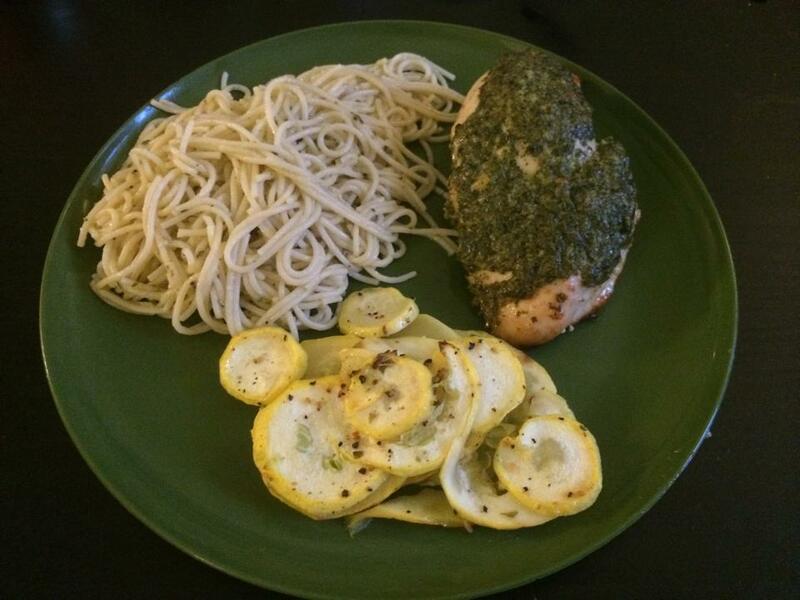 I topped the chicken with a basil pesto sauce and fresh squeezed lemon then baked it along with the squash. I prepared the angel hair pasta by boiling it with fresh garlic, olive oil, and oregano. After I strained the pasta, I then tossed it with the House Blend marinade and a mixture of Italian cheeses. Food wasn’t the only inspiration I received from the farmer’s market! While my meal was filling the house with delicious savory smells, I was busy getting creative with water. 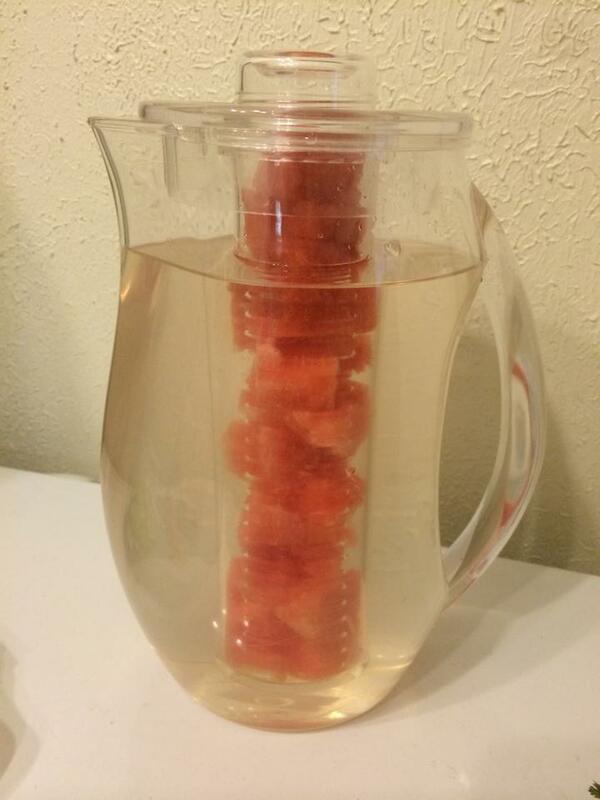 Mixed coconut water with mineral water with electrolytes and then infused it with fresh chucks of watermelon. This was such a refreshing beverage after a long hot day at the market!